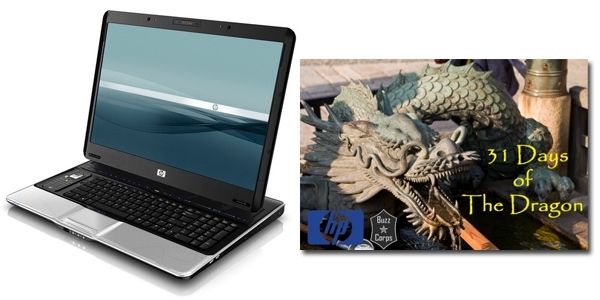 In case you didn't check Digital Home Thoughts over the weekend, we've launched our 31 Days of the Dragon contest where we're giving away an HP Pavilion HDX9200 notebook PC, and a software bundle that if purchased at retail, would total up to a bit over $5500 USD. This is a huge contest where 31 Web sites are taking part, each giving away their own Dragon prize bundle - you can check out all the details over on the 31 Days of the Dragon Web site. The contest officially launched on the 10th, and will end on the 17th of May. Check out the contest details and enter to win!